Rats will naturally explore and seek out the strangeness and textures of pumpkins, the seeds as well as the flesh. A big pumpkin with its big aroma is utterly enticing. 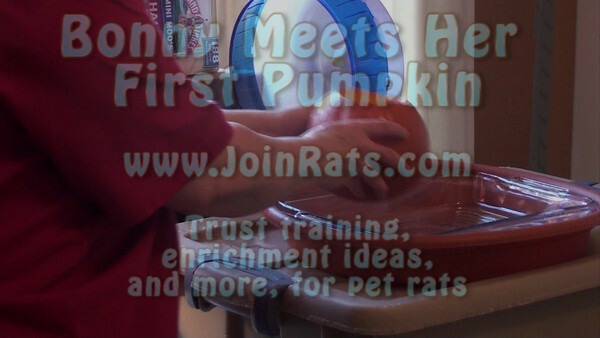 The rats' curiosity and foraging instinct are stimulated, making pumpkin play a great enrichment opportunity.